The following is a cautionary tale about the importance of having only one* trigger per object type. It is based on actual events. Only the names, apex code, and events have been changed. Imagine you have a trigger something like the one that appears below, along with its associated support Apex class. Don't worry too much about reading all the code. Just know that the trigger fires after insert or update of an Opportunity record to do some processing. The first order of business is to ensure that the trigger hasn't already run in the current context due to other triggers that may be present in the org. We want to prevent multiple calls to the trigger in one transaction and the potential for trigger recursion. This is achieved via a static set of Opportunity Ids. Once we've processed a given Opportunity Id and put it in the set there is no need to revisit it again in the current transaction. Now the fun begins. Users report that the desired functionality from the after insert trigger code isn't always occurring in production. The first step is to acquire the associated debug log to see what is going on. Look closely at the messages, the after insert/update trigger called MyProduct_Opportunity first occurs for update, and secondly for insert. The record was updated before it was inserted! What's really going on here? The extended debug log shows the cause. Going carefully through the log, there is another rogue after insert trigger in there that is resulting in an update on the record that was just inserted. This subsequent update causes our trigger of interest to execute first in an update context, before returning to execute for the original insert. The Set of processed Id's is tripping us up here. When the trigger first fires for update the ID isn't in the Set, so the fields are checked for a changed value. Being an update on another field the check doesn't pass, and the additional processing is skipped. 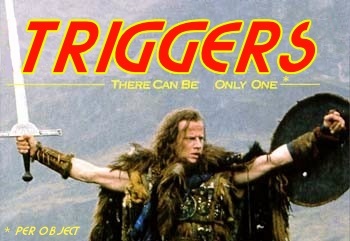 Which brings us back to the moral of the story, the only way to get predictable trigger ordering is to have one trigger per object type that passes off to other classes in a defined order. This is sometimes easier said than done. Multiple managed packages can all introduce their own set of triggers. It terms of fixing the example triggers above, we can assume that the action should always occur in a trigger context. Basically bypass the Set check unless it is an update operation. How does one go about building a moon sized death star? That's a lot people and supplies to keep track of for a project with a budget over 1,000,000,000,000 galactic credits. Putting together a system to help manage the build is going to be a major project in and of itself. Or is it? Lucky for us the Salesforce Trailhead team has the timely launch of the Build a Battle Station App Trailhead project. How do you keep the Exhaust Port Inspectors from dropping the ball again and letting magic space wizards drop bombs to the core. How to track all the required supplies. Tractor beams, ultra fast hydraulic units for the doors. Don't forget the light bulbs and toilet paper. Handling the guard rail shortage will be left as an exercise to the readers. Get a quick summary of how many people are actually working on the project. 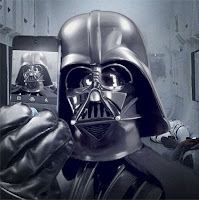 Use Lightning Process Builder and Chatter to announce when you've got a fully armed and operational death star! How to help your fat fingered boss use the mobile app. Test the mobile app in Chrome using the Salesforce1 Simulator app. Just noticed Model Complex Products with Hierarchical Assets in the Spring `16 release notes. That could be useful in this project. There is also the new Apex Integration Services module. If you can get past the SOAP bashing there is some good information in there. Take the URL for the SOAP WSDL from the Apex SOAP Callouts Challenge. No need to save it to disk first. 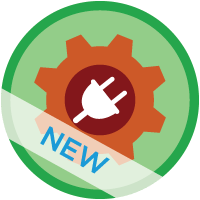 Put it through the FuseIT SFDC Explorer custom WSDL2Apex implementation. Call the output ParkService and check the option to generate test cases. Rename the generated mock class "ParkServiceMockImpl"
Rename the generated test class "ParkLocatorTest"
Make the ParkLocator class with the static country method to call the generated class. In ParkLocatorTest duplicate one of the assertions to also call the ParkLocator.country method to give the required coverage. Add the remote site setting for the callout URL. Run the generated ParkLocatorTest test case. OK, maybe not so smugly. There are more steps above than I care for, but most of those are to satisfy the ceremony of the challenge with regards to naming etc... There is also something odd about this WSDL the is throwing off the generated apex_schema_type_info members and requires the elementFormDefault="qualified" boolean (second to last one) to be manually changed from 'true' to 'false'. Still, show me the same level of initial setup from a REST API in Apex and I'd be impressed.